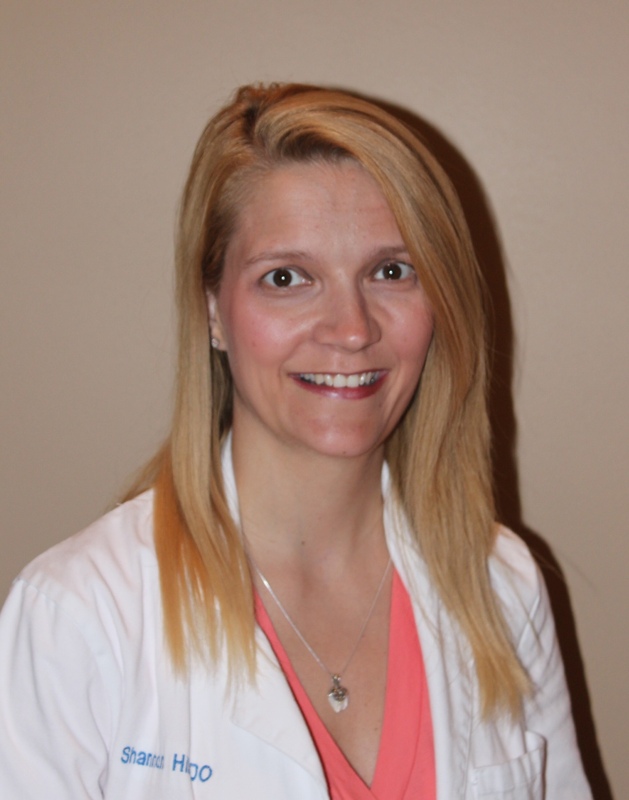 Dr. Essig received her medical degree from Michigan State University. She completed her Family Practice residency at Sparrow Hospital in Lansing, MI. She is board certified in Family Medicine. Dr. Essig holds memberships in the American Academy of Family Physicians, Colorado Academy of Family Physicians, Colorado Medical Society and Clear Creek Valley Medical Society. Dr. Essig treats patients of all ages – she has a particular interest in women’s health. She joined Broomfield Family Practice in 1987. Personal: Dr. Essig is married; she and her husband, Luis, have three children: Madeline, Kelly Rose and Gracie. 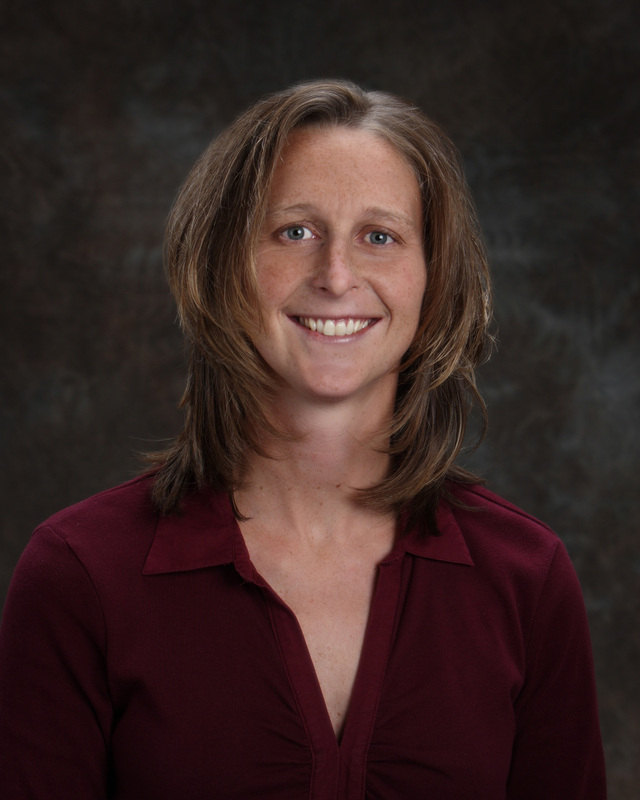 In her spare time, Dr. Essig enjoys motherhood, running, biking, travel, piano and weight training. Dr. Hill received her medical degree from Lake Erie College of Osteopathic Medicine, and completed residency at Williamsport Family Medicine Residency Program in Williamsport, PA. She is board certified in family medicine. Dr. Hill holds memberships in the American Academy of Family Physicians, the American Osteopathic Association, and the American College of Osteopathic Family Physicians. Dr. Hill treats patients of all ages, with particular interest in women's health and osteopathic manipulative treatment. Personal: Dr. Hill is married; she and her husband, Eric, have 2 daughters and a son. She enjoys outdoor activities, snow skiing, and traveling. 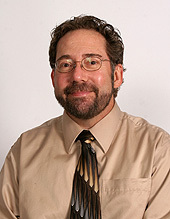 Dr. Robertson is a graduate of Duke University School of Medicine. 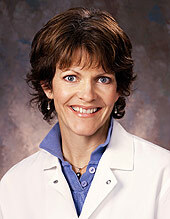 She completed a residency in Family Practice at Valley Medical Center, affiliated with the University of Washington. She is a graduate of Colorado State University with a BS in biology. Susan is Board Certified in Family Medicine, holding memberships in the American Academy of Family Physicians and the American Medical Association. She is also a designated Airman Medical Examiner. She joined Broomfield Family Practice in 1990. Personal: Dr. Robertson is married; she and her husband, David, have three grown children. In her spare time, Dr. Robertson enjoys scrap booking, water skiing, snow skiing, camping and reading. Dr. Blair is a graduate of the University of California San Francisco School of Medicine, and completed the Family and Community Medicine Residency at UCSF/SF General Hospital. She is Board Certified in Family Medicine and holds memberships in the American Academy of Family Physicians and the National Physicians Alliance. She is a designated Airman Medical Examiner. Dr. Blair joined the practice in 2017. Personal: Dr. Blair is a former airline pilot who transitioned to a medical career in 2002. She moved to Colorado in 2002 for the mountains, and enjoys skiing, backpacking and biking. Philosophy: "I believe in the importance of collaborating with patients to create healthier lives. It is important to me to treat the whole patient, to include their emotional and social environment in helping them to manage their health. I provide care for all ages and my practice includes enhancing wellness, care of chronic conditions, prenatal care and deliveries, and minor procedures. " 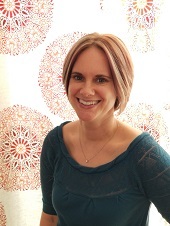 Darcy graduated in 1999 from Western Michigan University's Physician Assistant program located in Kalamazoo Michigan. She also received her BS in Biomedical Sciences there. 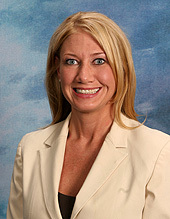 She has been a member of the Broomfield Family practice team since 2001. She is certified to practice medicine by the National Commission on Certification of Physician Assistants. Darcy treats patients of all ages with an emphasis on women's health and special interest in mental health. She is well versed and provides up to date treatment for adults who suffer from depression, anxiety, OCD, bi-polar disorder, grief and insomnia. Personal: Darcy is married to John. She has three beautiful very active children and two very old dogs, all six of them being the loves of her life. Darcy enjoys being a mother, reading, exercise, quality time with friends and family, quiet time and her career as a physician assistant. Jackson graduated from the Physician Assistant Program at Oregon Health & Science University in Portland, Oregon. He has practiced in Oregon and Colorado since 2013. He is board certified by the National Commission on Certification of Physician Assistants and a member of the American Academy of Physician Assistants. Jackson is interested in treating patients of all ages with a special interest in preventive care and sports medicine. Personal: Jackson grew up playing hockey on the lakes and ponds of Vermont. He continues to enjoy ice hockey as well as outdoor activities with his wife including skiing, hiking, and biking. Richard graduated in 1978 from Bowman Gray School of Medicine, Physician Assistant Program in Winston-Salem, North Carolina. He received his BS in biology from Colorado State University and has been a member of the Broomfield Family Practice team since 1988. Rich is a member of the American Academy of Physician Assistants and Colorado Academy of Physician Assistants, and is certified by the National Commission on Certification of Physician Assistants. Rich treats patients of all ages with a special interest in men’s health. Personal: Rich is married; he and his wife Becky have three grown sons: Richard, Patrick, and Aaron. Rich enjoys woodworking and fly-fishing in his spare time. Ms. Kinsey graduated from the University of Colorado Child Health Science Center Child Health Associate/Physician Assistant Program. She joined the practice in 1994 with a specialty in the care of children and adolescents. 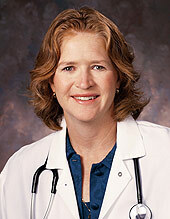 She is a member of the Colorado Academy of Physician Assistants and the American Academy of Physician Assistants. Certification was completed through the National Commission on Certification of Physician Assistants with primary care emphasis. Treating infants, toddlers and young adults is a talent and skill Amy provides to our patients and families at Broomfield Family Practice. Personal: Amy enjoys spending time with her daughter, Ally. In her spare time, she also enjoys traveling, reading and music. of the Broomfield Family Practice team caring for all ages of your family with interests in preventative care and whole person care. Personal: Cathlin grew up in New Hampshire enjoying water sports, hiking, and the outdoors. In Colorado, she continues to love the outdoors through camping and hiking with her spouse, two young boys and dog. In addition to the outdoors, she loves reading, yoga and baking. in the prevention and management of disease"
Dr. Rhoden graduated from Wake Forest School of Medicine before moving to Colorado and completing residency at Swedish Medical Center, affiliated with the University of Colorado. She is board certified in family medicine and is a member of the American Academy of Family Physicians, and the Colorado Academy of Family Physicians. Dr. Rhoden joined Broomfield Family Practice in 2018. Personal: Dr. Rhoden is originally from North Carolina, where she met her husband, David. She enjoys hiking, snowshoeing, reading, and spending time with friends and family. Philosophy: "I went into primary care to be able to develop relationships with my patients and provide care throughout all stages of life, including obstetric care. It is important to me that patients feel informed and empowered to manage their health, with me acting as an advisor and educator." 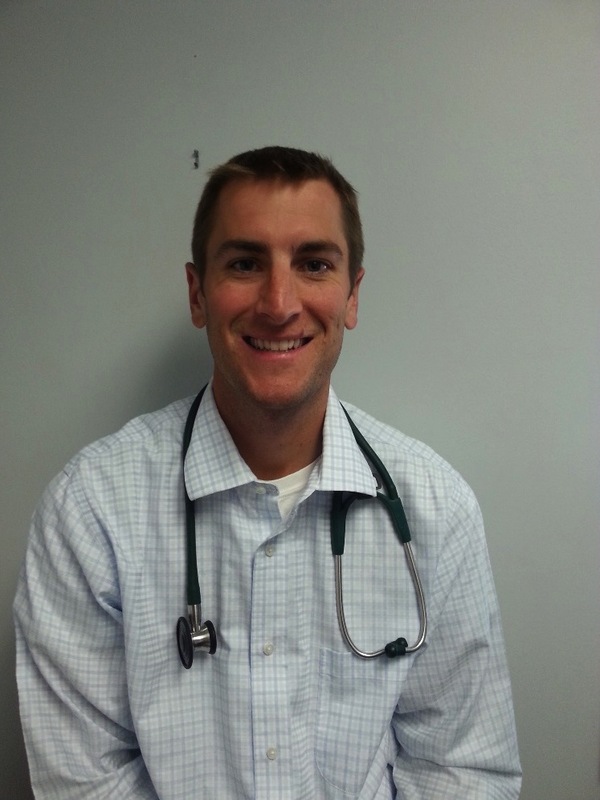 Collin is a graduate of the Physician Assistant Program at Oregon Health & Science University in Portland, Oregon. He received his Bachelor's Degree from the University of Colorado at Boulder with a Degree in Integrative Physiology. He is board certified by the National Commission on Certification of Physician Assistants and a member of the American Academy of Physician Assistants. Collin is interested in treating patients of all ages with a special interest in acute care and men's health. Personal: Collin grew up in Louisville, Colorado before moving to Portland to pursue his Master's Degree. He has returned home to Colorado with his wife Alexa in 2018. Collin enjoys spending time with his family and friends, being active outdoors and coaching lacrosse at a near by high school. Philosophy: "My goal as a Family Medicine provider is to build a lasting partnership with my patients built on trust and empathy. I strive to provide patients with care that will enable them be the healthiest version of themselves today as well as in twenty years."